The report shows that short-term savings average $1,080 per month, a rise of 18 percent from the end of 2013. Worries over cuts to America’s defense budget have prompted military personnel to save more for their retirement, new research shows. This finding is unveiled in the First Command Financial Behaviors Index, a survey of middle-class military families, including senior NCOs and commissioned officers in pay grades E-6 and above with household incomes of at least $50,000. The report shows that short-term savings average $1,080 per month, a rise of 18 percent from the end of 2013. Retirement and long-term savings grew 11 percent to a monthly average of $2,374. Military families who work with a financial advisor contribute twice as many dollars into saving vehicles as those who don’t work with an advisor, the report adds. Their average monthly rates total $1,723 for short-term savings and $3,951 for retirement and long-term savings. In contrast, the savings rates for those without an advisor average $709 and $1,467, respectively. 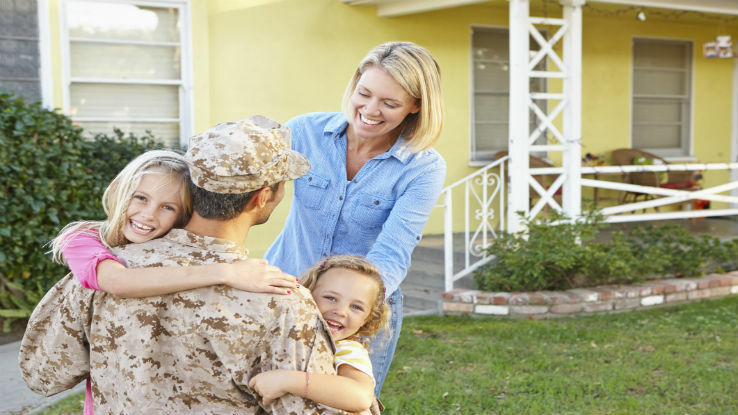 Corresponding to their higher savings efforts, military families who work with a financial advisor feel more financially secure. The Index reveals that 51 percent say they feel “very” or “extremely” secure compared to just 45 percent of their do-it-yourself counterparts. Also, those who work with an advisor are more confident in their ability to retire comfortably; 50 percent say they feel “very” or “extremely” confident versus 32 percent. These and other positive financial attitudes helped ease the quarterly Index score ahead three points to 121. The Index is set to a benchmark of 100, which was assigned when the Index was launched in 2008.